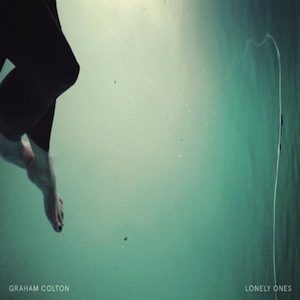 Graham Colton goes in a new direction with his latest album, Lonely Ones, by breaking the mold that claims “singer-songwriter” means solely “man with a guitar.” Colton, an Oklahoma City native, returned to the Oklahoma music scene for this next chapter of his artistic career. He expressed his desires to step outside of his comfort zone as a musician and to work among family and friends on Lonely Ones in his Kickstarter campaign for the album (check that out HERE) that was funded on March 13, 2013. “Mixed Up” opens the album with a full-bodied sound, a contrast to the Colton we’re used to. From the dark lyrics about a murderous criminal to the playful whistling to the swinging “la la la” section of the chorus, “Born To Raise Hell” is full of surprises. “Another Night” sweetly brings the album back to the trials and triumphs of love, only to have the illusion shattered by “Funeral.” The album presents a combination of optimistic driving sounds and deeper darker themes and is a turning point for Colton.